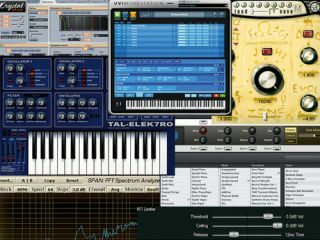 Ask MusicRadar: what are the best free VST plug-ins? Following the terrific response we had when we asked you to nominate the best VST plug-in synths that are available to buy, it's now time to turn our - and your - attention to the finest instruments and effects that you don't have to pay for. That's right: Ask MusicRadar wants to find the best free VST plug-in in existence. We're casting the net pretty wide with this one - synths, EQs, compressors, reverbs, virtual bagpipes and anything else that's VST-compatible is eligible. We'll allow Audio Units and RTAS plug-ins in too, though for this poll, we'll only include them if there's a VST version too. You may have a plug-in or two that you're itching to rave about already, but if you're searching for inspiration, check out our library of free music software round-ups for a reminder of pretty much everything that's been released over the past year or so. We'll then be able to compile a list of the best free VST plug-ins in the world today, and we'll present this to you in a lovely gallery.